The brewery you’ve known for several years as Draai Laag has a new name: Strange Roots Experimental Ales. But there’s more to the name change than just a new logo and new t-shirt designs. There is a new brewery and taproom in West Deer. There is a new terroir for Strange Roots’ brewers to experiment with as they continue to push the boundaries of wild fermentation. And, perhaps most importantly, there is a new approach. If you’re a fan of the tradition established at Draai Laag’s Millvale taproom — the one with aggressively sour beers making up much of the portfolio — you’re not going to be disappointed with Strange Roots. But if you’ve found those beers difficult to approach, I think you’re going to like the Strange Roots beers you’ll find beyond the old Draai Laag staples. 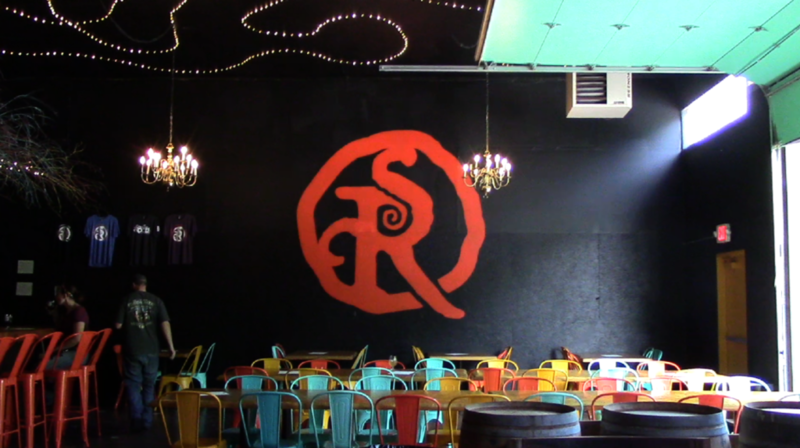 Founder and owner Dennis Hock said a big reason behind the change was to make a slight sift in emphasis, to beers that show off a different kind of complexity. An example from our tasting session last week: Ordinary Creep, which was listed on the tap list as a hybrid sour saison … that also happens to be dry-hopped with a hefty load of Mosaic and Azecca hops. Take a taste, and the beer is immediately identifiable as a sour, although the pucker factor is surprisingly light. The earthy, slightly spicy notes of a saison are also recognizable as a saison. And the hops add surprising, bright hints of peaches and other overripe fruit. Hock said that’s exactly what he had in mind when he began considering the change from Draai Laag to Strange Root. It’s a sour, sure, but that facet is dialed back a bit, so Ordinary Creep’s other elements can shine. The sum is a more approachable beer that isn’t lacking in complexity. And if you’re a purist from the old days, don’t worry — we also sampled a 20-percent ABV Flanders-esque ale built nebbiolo grapes and cold-brewed coffee. It doesn’t yet have a name, but it was stunningly good … and should be available soon. And that should be enough to get everyone — Draai Laag fans and those seeking the softer approach of Strange Roots — to one of the taprooms in West Deer or Millvale soon. Sure, Christmas is just a few days away. But if you’re shopping for beer people, you still have plenty of time. 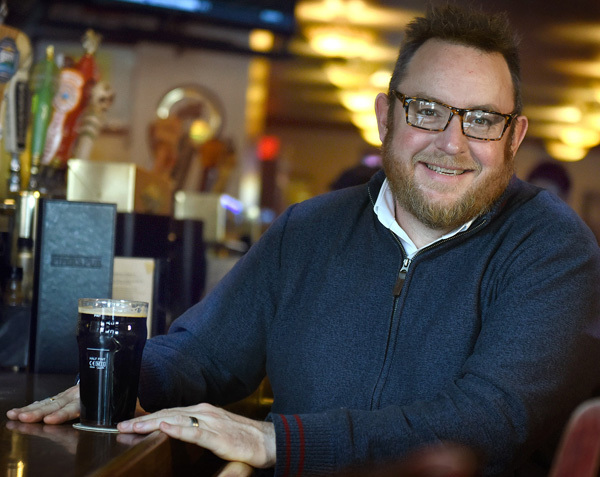 I took a quick trip around town to talk to some of my favorite beer folks to get some suggestions for locally brewed beer that would make great last-minute — or last-second — gifts. The only stipulation: the subjects couldn’t pick a beer they made. There are pales and IPAs. There are some holiday-season favorites. And there are styles from all over the globe, all brewed right here at home. Whether you’re shopping for a friend or you’re looking for something special for your holiday weekend, we’re fortunate to have all of these options — and many, many more. Enjoy your holiday weekend, boys and girls … and enjoy it with some Pittsburgh-brewed craft beer. If you’re spending a lot of time in Dusseldorf, it’s probably a good idea to get to know the local beers. We don’t necessarily have to travel to Dusseldorf to get to know the styles native to that German city; we can just go to Cobblehaus Brewing in Coraopolis instead. Owner and brewer Scott Mills got to known the beers of Dusseldorf thanks to a good number of work-related trips there years ago. And that’s one of the reasons why Cobblehaus emphasizes European beer styles — that’s what he likes. 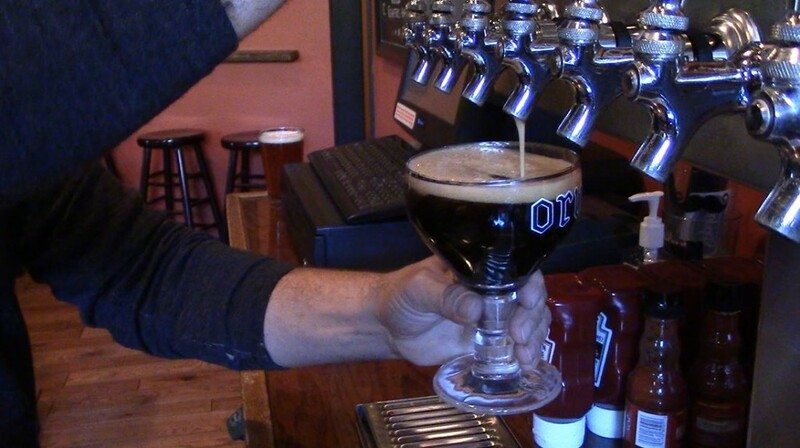 When you stop at Cobblehaus, start with a glass of the altbier, called Olde Towne. It’s a style native to Dusseldorf, it’s the recipe that Mills has been tinkering with the longest … and thanks to the clean, well-balanced flavors, it’s also been the brewery’s best seller. And if you go soon, you’ll be able to get another Dusseldorf treat: the seasonal sticke Altstadt, typically released in the late fall, with boosted flavors and ABV; it is a rich, warming treat, especially good for a chilly November day. The other spot on the map Mills likes is Belgium. Give the Tin Man saison a try — it has a little more heft than many saisons, but you’ll also notice a little citrus melding with the style’s earthy base. 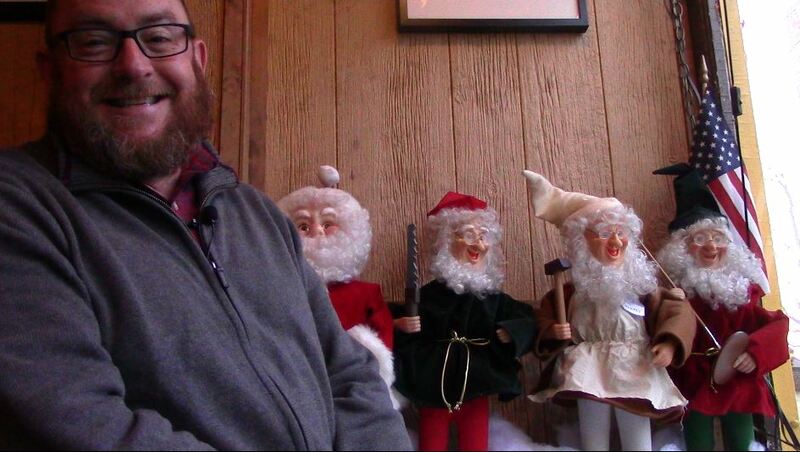 And check back later this year; a Belgian quad will be released in time for the holidays. And finally, you don’t have to stay in Europe — there are excellent beers on tap that will be more familiar. Five O’Clock porter has huge coffee flavors while maintaining a lighter body; Moon Hop IPA uses crystal malts for a unique twist on the style. Ready to go halfway around the world and back? 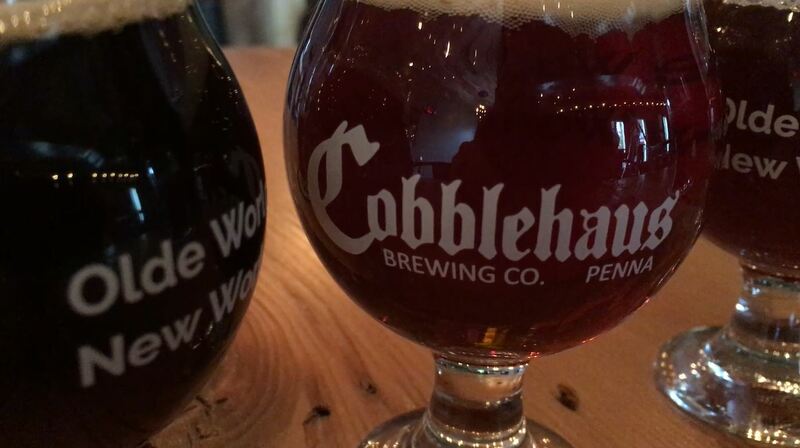 All you need to do is get to Coraopolis, and Cobblehaus Brewing. I met Charles years ago. But until my recent visit to Hollywood Gardens and Brixton Brewing in Rochester, Beaver County, I hadn’t had an opportunity to get caught up again. Charles is the name of Brixton’s Belgian-style quadrupel, a complex, delicious monster of a beer. Back in 2011, it was the first beer introduced by Brixton, the house brewery for Hollywood Gardens, and I was so pleased to see him again when I visited. Sightings of Charles and other Brixton beers had been occasional until October, when owner Frank Elia and brewer Zachery Ruskin really got going on their new 2-barrel brewing system to the degree that Brixton beers began to regularly appear on the tap list at Hollywood Gardens. What was behind the wait? A little license juggling took up some time, but when Mr. Elia secured a brewpub license he and Mr. Ruskin set up a small system in the basement of the bar and began serving Brixton beers on weekends. That Hollywood Gardens would be home a 12-tap system and a beer cave featuring bottles in the hundreds — much less to a brewery turning out quality IPAs and Belgian styles — is remarkable in and of itself. The bar was opened on Pinney Street in Rochester by Rocky Elia, Frank’s father, in 1958. Frank Elia took it over in 2009 after his father passed away and remade the place from a shot-and-a-beer bar to one that featured the craft beers he had come to love. A chance meeting with Mr. Ruskin at the bar — and a few tastes of Mr. Ruskin’s home-brewed beer — got Mr. Elia thinking about making beer to serve in his place and in the spring of 2011, the pair hosted a welcoming party for Charles … and I was immediately smitten. So I was thrilled to see his name on the list when I visited last week. And just as thrilling? The other two Brixton beers on tap last week — a bitter named Matthew and a West Coast IPA named Robbie — were every bit as good. It’s a small brewing system so for now, trying Brixton beers will require a drive to Beaver County. But for a chance to meet Charles, Matthew or Robbie, it’s worth the trip.